Chadwick Boseman as Black Panther/T'Challa. Credit: Marvel Studios. Marvel’s “Black Panther” made history last year as the first big budget superhero movie with a black director and a predominantly black cast. It made history again earlier this year when it became the first superhero movie ever to be nominated for the Academy Award for Best Picture. It’s actually up for seven Oscars total, including Original Score, Costume Design and Production Design. 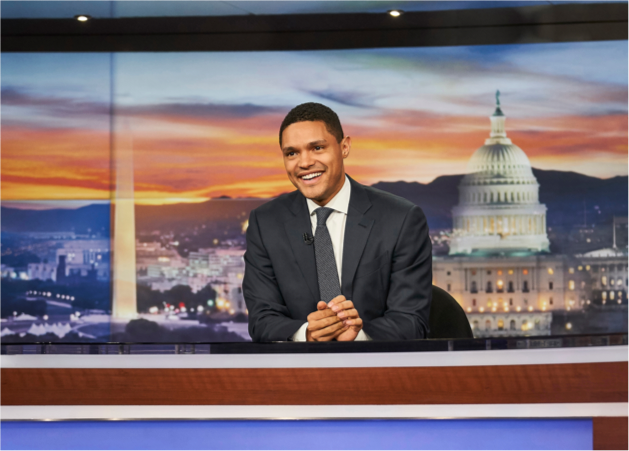 When the movie came out, we talked to journalist Jamil Smith, who wrote a TIME cover story about why Black Panther was an important cultural moment for black America. 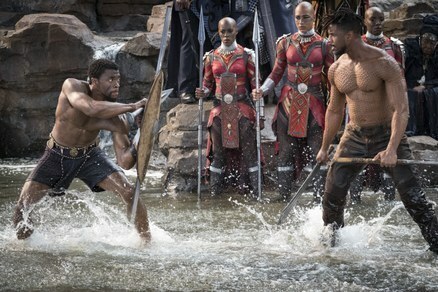 Black Panther/T'Challa (Chadwick Boseman) faces off with Erik Killmonger (Michael B. Jordan). 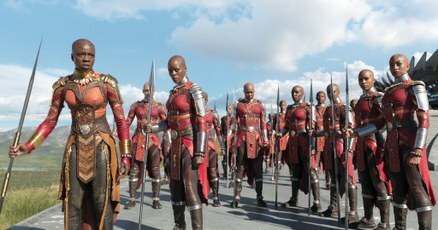 The Dora Milaje are T'Challa's army of bodyguards. Credit: Marvel Studios.